Tessitura control groups define what data is available to each Tessitura integrated WordFly account. Control groups are particularly important for keeping data separated for consortiums. We'll review how to setup your control groups in Tessitura. This is a general overview, for expert guidance please reach out to Tessitura support. 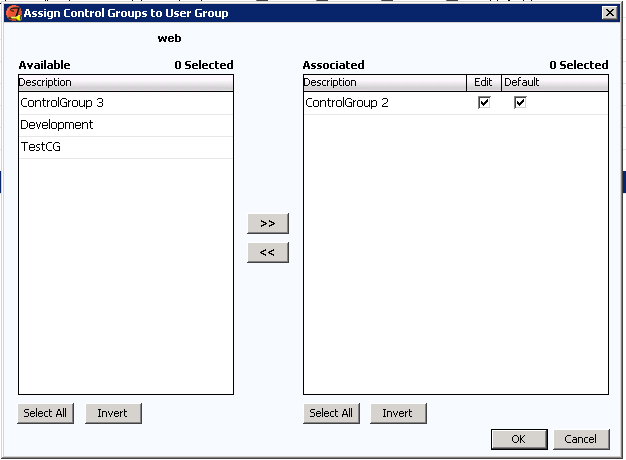 What are control groups in Tessitura? Control groups in Tessitura help define what data is available to WordFly and for each consortium member. For example, with the correct control group selected your organization will see only your lists in WordFly and without the incorrect one selected you might see list data from other sub-license holders. 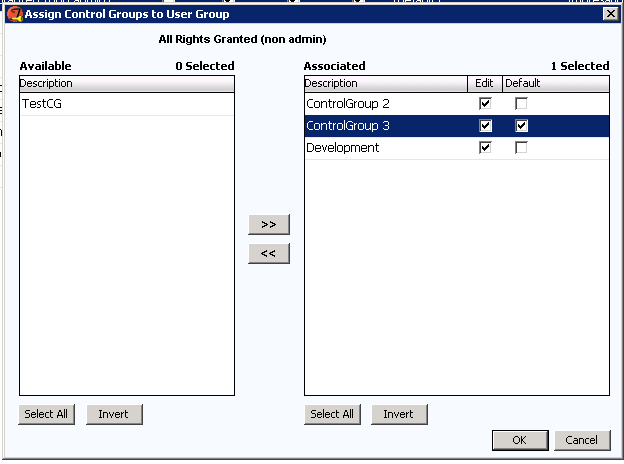 A unique control group is defined for the TMS User connected to the TR_Organization ID for each individual organization. 1. In System Tables > TR_Organization, define an organization ID for your organization. For many license holders, the Tessitura Web ID will be used. The ID for this is usually -1. 2. In System Tables > T_Defaults, setup a TMS User for your organization. The TMS User uses the TR_ORGANIZATION.description as parent_table name. This is what ties the TMS User to the TR_Organization ID for your organization. The TMS User needs a default_value. This value is the User that database calls are made from. Most license holders opt to use the same default_value as the Web User in T_Defaults. 3. In the Tessitura Security Application > Maintain Users, locate your User from the TMS User default_value and select Groups at the bottom of the screen to assign a User Group to the User and mark the group as 'default'. 4. 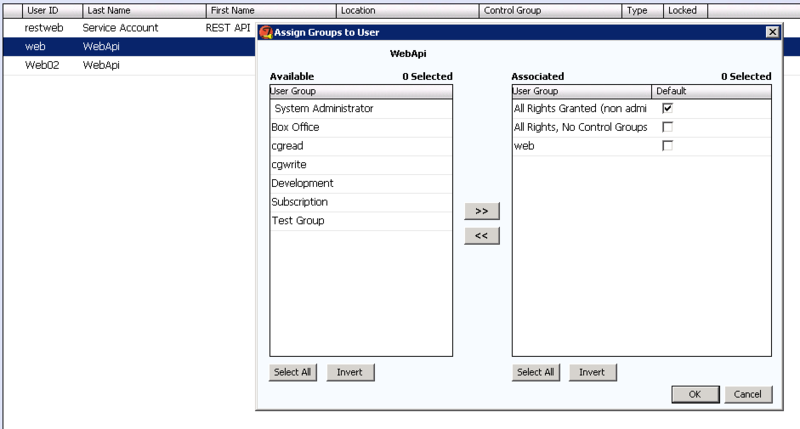 In the Tessitura Security Application > Maintain User Groups, locate the User Group you just assigned to your User and click Control Group at the bottom of the screen to assign a Control Group. Mark this control group as default. This is the last step of the control group setup process for license holders outside of a consortium setting. When a consortium starts using WordFly a unique control group will be defined for each TMS User in T_Defaults. 1. In System Tables > TR_Organization, create an organization for each licensee. 2. In System Tables > T_Defaults, set multiple TMS User values (one for each licensee). The TMS User for each consortium member should use a default_value set to a specific User ID for each sub-licensee. This User ID is pulled from T_Defaults and is a similar User as the Web User. It cannot be the same as the Web User, you must create a unique User for each license holder. 3. 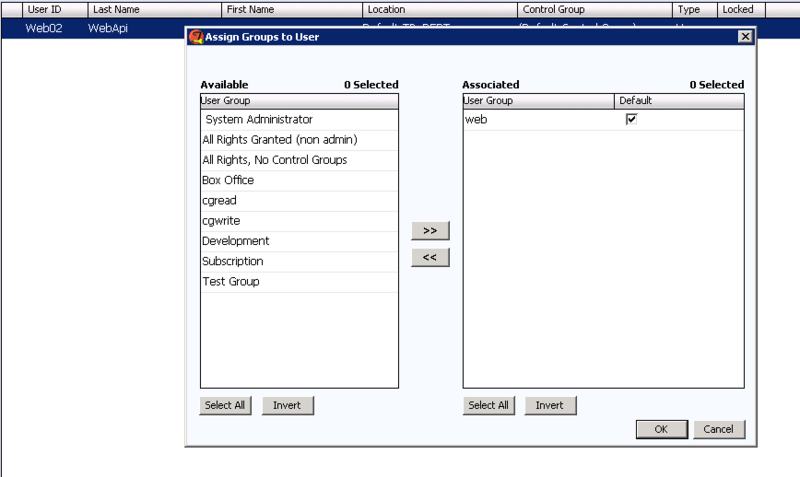 In the Tessitura Security Application > Maintain Users, locate each consortium User from the TMS User default_value and select Groups at the bottom of the screen to assign a User Group to each User and mark the group as 'default'. 4. 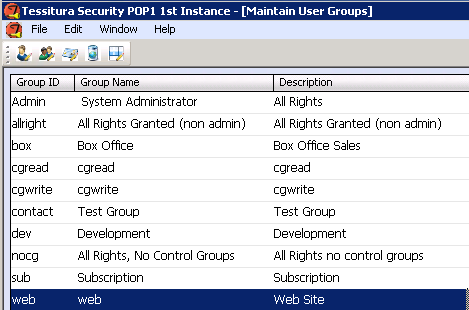 In the Tessitura Security Application > Maintain User Groups, locate the User Group you just assigned to your consortium member's User and click Control Groups at the bottom of the screen to assign a Control Group. Mark this control group as default.